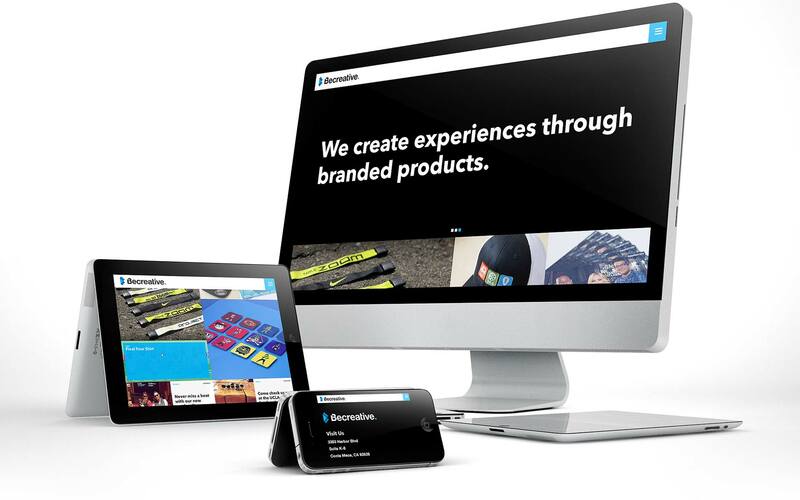 Becreative offers unique marketing solutions by creating experiences through branded products for other companies. Due to their somewhat dated perception, Becreative updated their brand to elevate their look to better reflect who they are. Now, they have partnered with Devise Interactive to create a unique responsive website to elevate their rebrand and integrate new-age web tactics and digital technology. 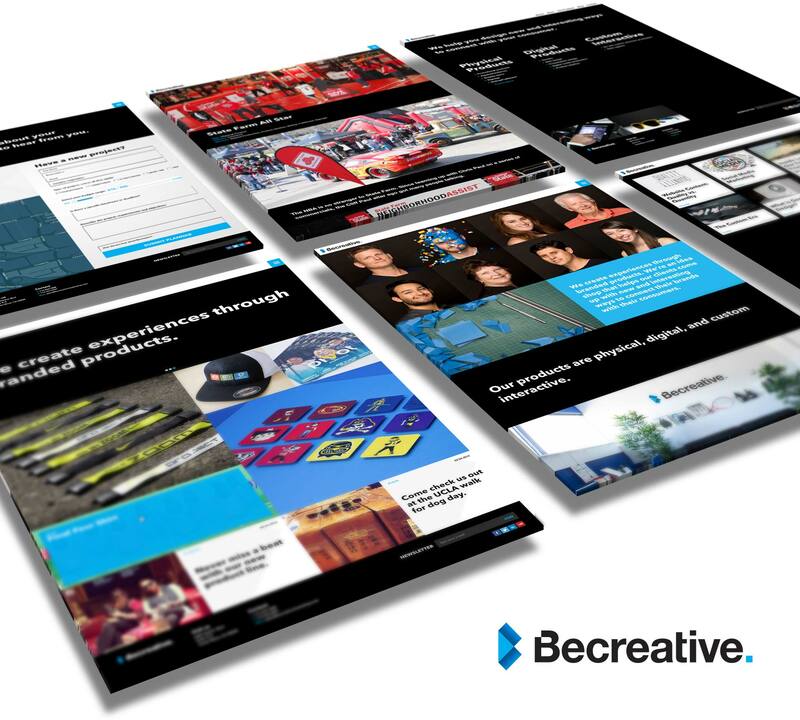 Due to their unique and original marketing approach, Becreative was in need of a high quality digital solution to complement their rebranding efforts. Our team developed a full-fluid, responsive website to enhance their digital presence in their industry. 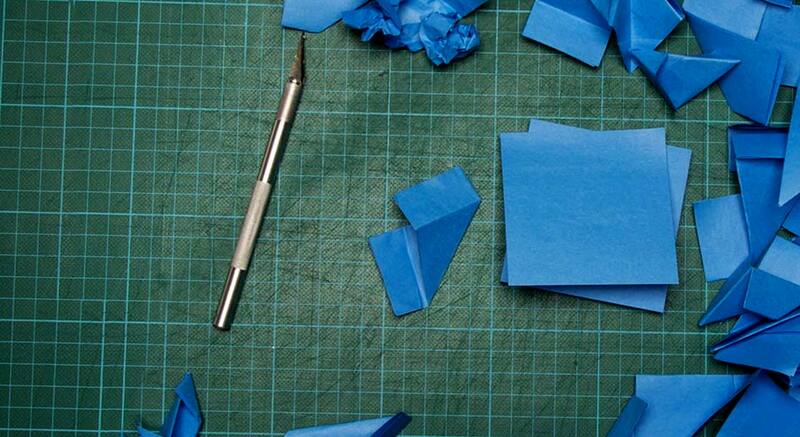 On the website, there were several elements used to accentuate their identity. Coupled with direct, clear messaging, this somewhat atypical website was able to raise the bar for Becreative and tell the story of who they are. We even included animations of the logo for a playful, yet professional feel. The website also integrated their high-quality typography, providing the website’s visitor with direct messaging and examples of Becreative’s work. We also utilized masonry technology to create a beautiful, but slightly unconventional grid format for the images and case studies. The atypical website was the key to elevating their brand via their online presence. The branded website integrated social media, lively high-quality images, and a fully-fluid responsive design. Our team harmonized their color scheme and logo in various ways across the entire website; we even included animations of the logo for a playful, yet professional feel. The website utilized their high-quality typography, providing the website’s visitor with direct messaging and examples of Becreative’s work. Devise used a masonry technology to create a beautiful, but slightly unconventional grid format for the images and case studies.